In Episode 10 of the Just Japan Podcast, host Kevin O’Shea gives advice about finding work in the teaching industry in Japan. Everything from your previous experience, where you are from and whether or not you have tattoos may make a difference in finding the job you want. Listen to the Just Japan Podcast in iTunes (SUBSCRIBE). Don’t use iTunes? Listen to the episode in the Just Japan Podcast player! OSAKA YOUTUBE HANAMI PARTY on April 12th, 2014 in Osaka Castle Park! Check out the Event page! I wrote an eBook a few years ago about teaching in Japan/Korea. If you haven never been here before and are interested in teaching English, take a look! 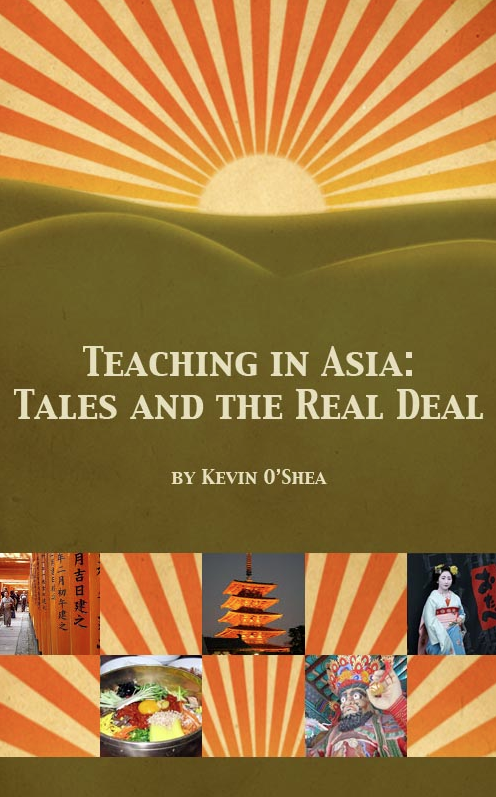 “Teaching in Asia: Tales and the Real Deal” is available on Amazon. Check out the Just Japan Podcast/BusanKevin(YouTube) Facebook page. BusanKevin/just Japan Podcast Patreon page is here!